The humanistic endeavor to reach ad fontes encouraged Sebastian Münster to promote the learning of the Hebrew language. 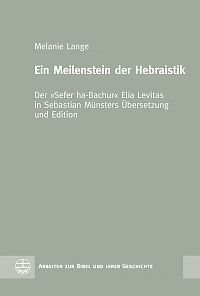 As a Christian Hebrew scholar of the first generation, he translates a Jewish Hebrew grammar into Latin and enters an intercultural and interreligious dialogue with the author of his linguistic template, the Jewish philologist Elia Levita. An intensive correspondence between both is documented, but unfortunately not preserved, except for one document. So only Levitas work remains to examine the scientific discourse between them. 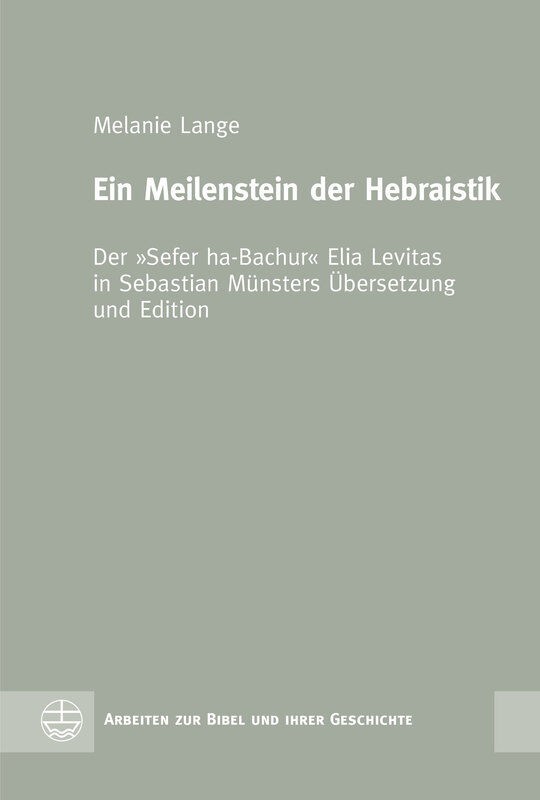 Münster translated it, thus making it accessible for the Christian scholarly world of the Reformation and Renaissance humanism era. Melanie Lange, Dr. theol., Jahrgang 1985, studierte Theologie in Rostock. Sie war Promotionsstipendiatin des Departments »Wissen – Kultur – Transformation« an der Universität Rostock und ist seit 2016 Vikarin der Evangelisch-Lutherischen Kirche in Norddeutschland. 2015 hat sie mit Martin Rösel zusammen in der EVA den ausgezeichneten Band »Der übersetzte Gott« herausgegeben.